Easy to make and fun to wear with so many variations! Wrap back is closed with buttons. 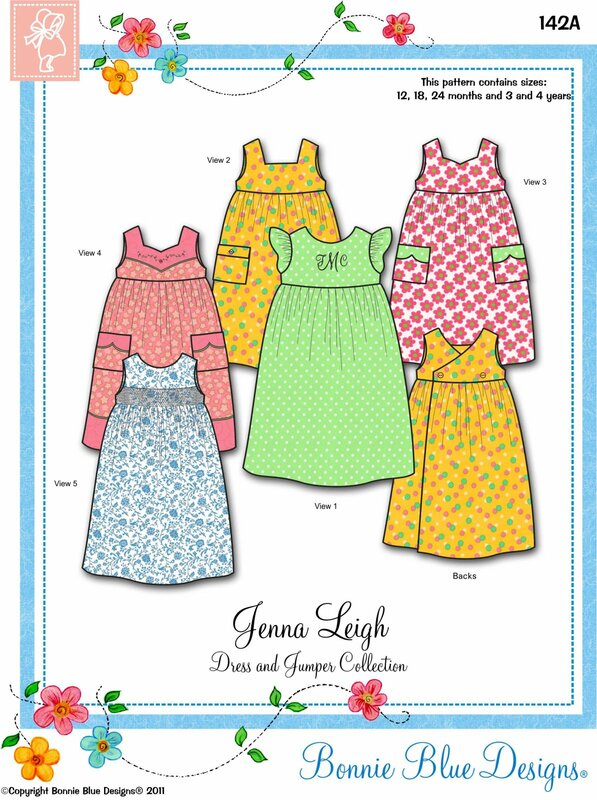 Embroidery designs included along with embroidery stitch instructions. Detailed instructions and illustrations including tips for stitching perfect scallops. Sizes 12, 18 and 24 months and 3 and 4 years in one package.